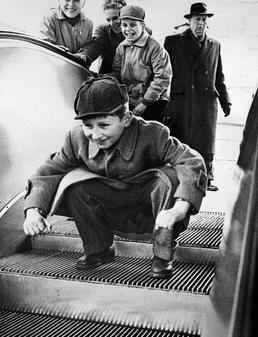 We imagine the remote moment in which our ancestors invented the mechanism of the stairs. The physical resource to be able to go up or go down walking a slope with ease. The happy occurrence to have successive horizontal planes displaced in vertical and diagonal with which go surpassing a change of level. Almost any change of level. The stairs have allowed during millenniums conquer the vertical, traspasar obstacles, of a so simple way like perfect. In consequence, the design of the stairs, by inmejorable, has not been able to be surpassed. But the modern inclusion of the electricity in the edificación supposed to denaturalise a lot of conventions. Include a lot of inventive “possibilities”. The mechanical stairs burst into in the architecture like an icon of the maquinismo. No in vain it was an engineer the one who to finals of the 19th century put them in operation for the first time in the city of New York. What caused all an explosion of novelty and astonishment in the thousands of users that rushed to live the experience. All an experience. Today logically already nobody is surprised at such a presumption. But there is no doubt that started by being a technical ostentation about being turning into an appliance of the most confused thing. Curiously, though his end is the opposite one, I do not believe that there is nobody who does not feel rather inconvinient on having used a mechanical stairs. It is a very ambiguous useless device. 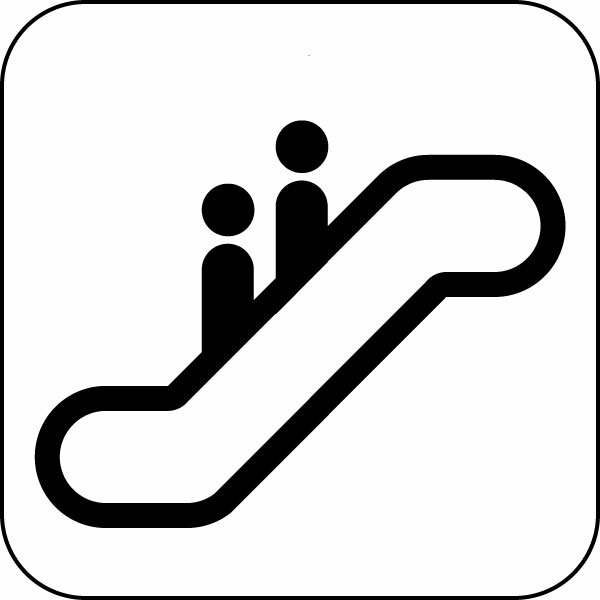 The steps have a disproportionate dimension to rise or to go down walking comfortably, though systematicly the majority of the persons who use them proceed to use them thereby. When it is going to enter or leave a tense moment takes place. Insecure. Of a such fret that often the elders, the children or the persons with limited mobility tend to avoid them. But the worse thing is when, once in the platform chosen to initiate the trip, one is discovered in a worrying position. The movement is dynamic and static simultaneously. Diagonal in the space. And the relative position with regard to other travelers is small less than ridiculous. Not only the space of proximity is invaded to an unusual height in situations of agglomeration but, in turn, the look has to force his natural direction to avoid physical conflicts. It is a mechanism elevator, carrier, who theoretically helps himself the persons not to get tired on having saved levels. But if we compare the value of his efficiency opposite to his physical and psychological disadvantages it might say that it is simply improvable. For not entering aesthetic questions. In architecture what this it moves is in the habit of being troubled. What tien vocation of being stable difficultly can work like unstably. Might we imagine, for example, that the structure amble of a building was mechanical? That could move to will to adopt new configurations or locations. Much I am afraid that not all the transgressions are lucky. The buildings tend to include increasingly comforts but, please, the stairs that are not mechanical.